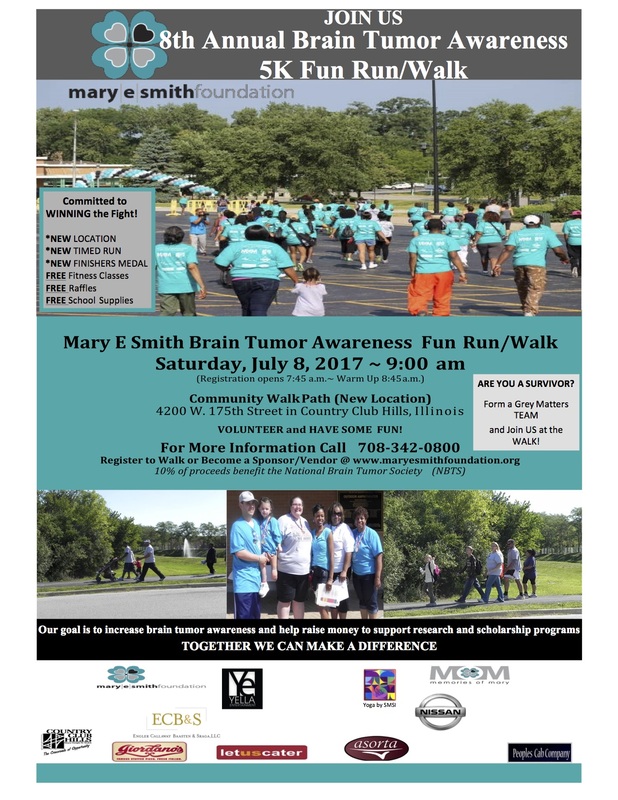 Once again the Mary E. Smith Foundation has partnered with the city of Country Club Hills, IL. for our Annual Awareness campaign. Join us for our 2nd year in our NEW LOCATION for this family fun event featuring games, vendors, Yoga & more! It’s a healthy way to support a good cause. Proceeds benefit the programming, grant & educational scholarship efforts of the Mary E. Smith (M.O.M) Foundation, Inc./Memories of Mary. A 501(c)(3) charity committed to winning the fight against brain tumors. Together we will make a difference.